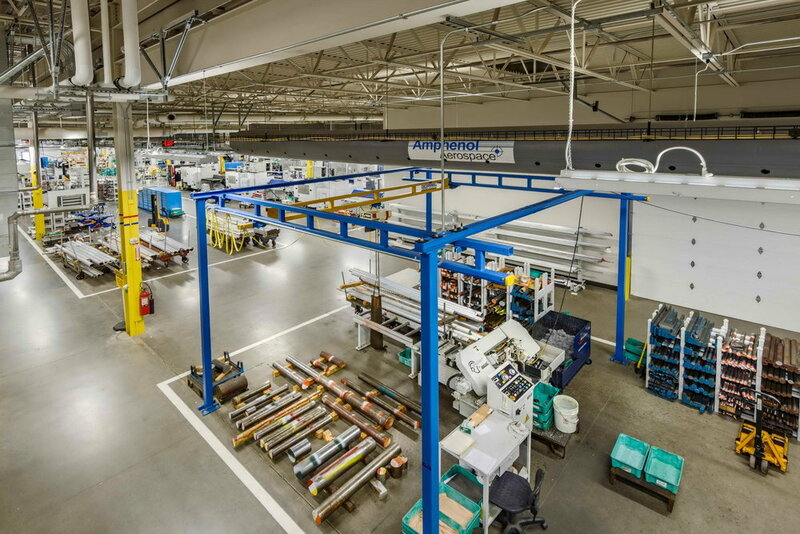 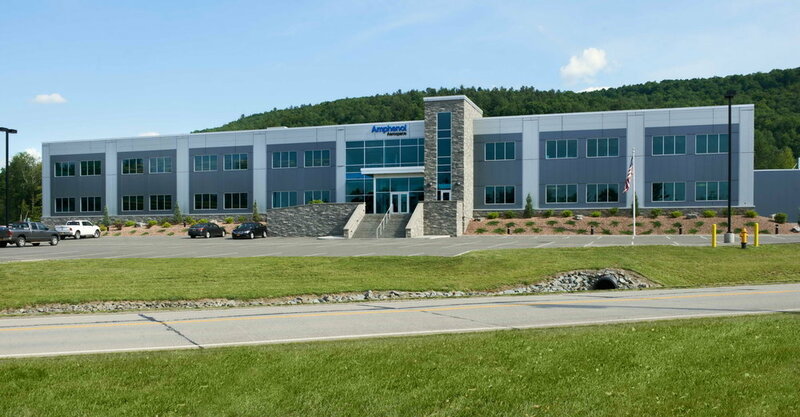 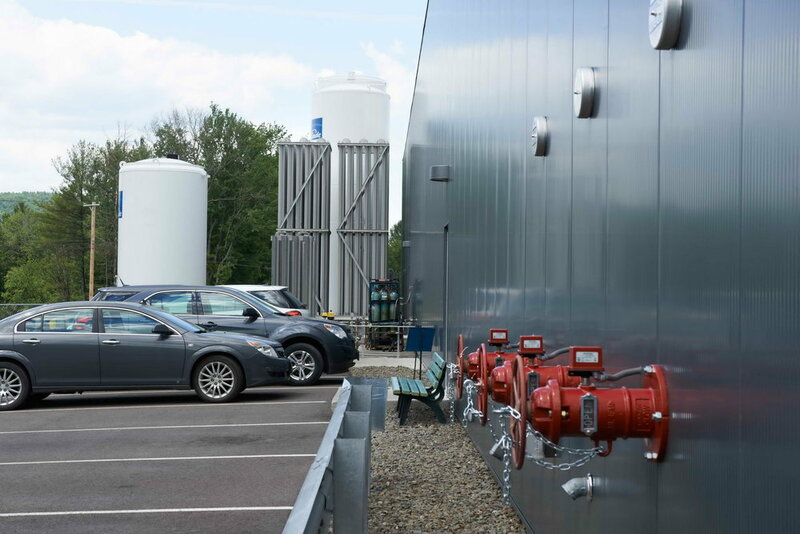 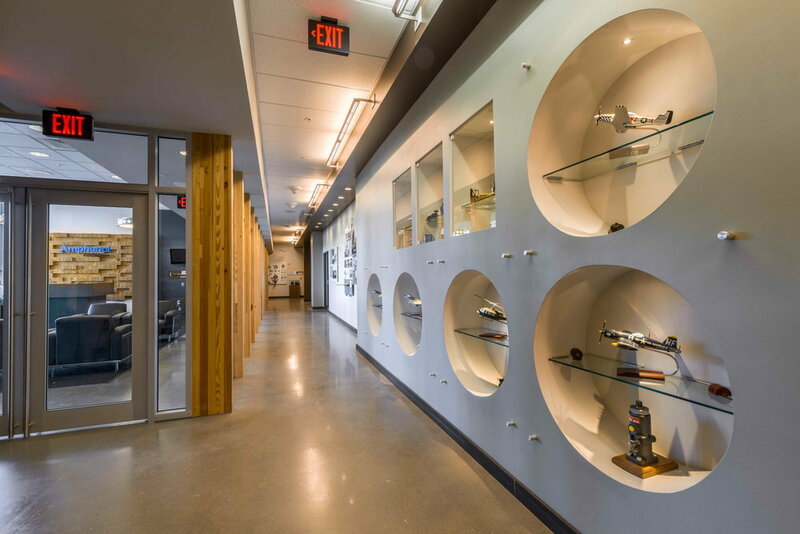 Highland Associates provided comprehensive architecture, engineering, and interior design services for the new Amphenol Aerospace 272,000 square-foot aerospace manufacturing facility for military use connectors and components. 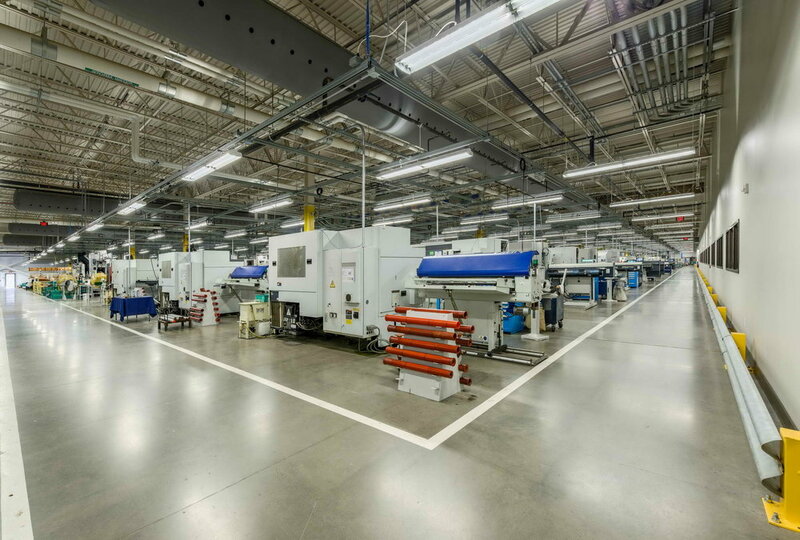 The facility consists of a 210,000 square-foot manufacturing building and attached two story, 62,000 square-foot office building. 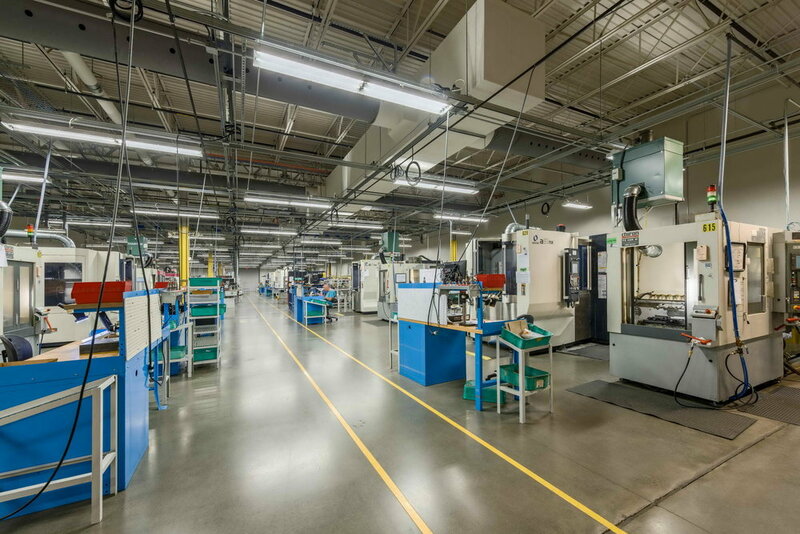 The manufacturing space has a clear height of 22’ and an open plan for the maximum flexibility in re-configuring manufacturing as product requirements change. 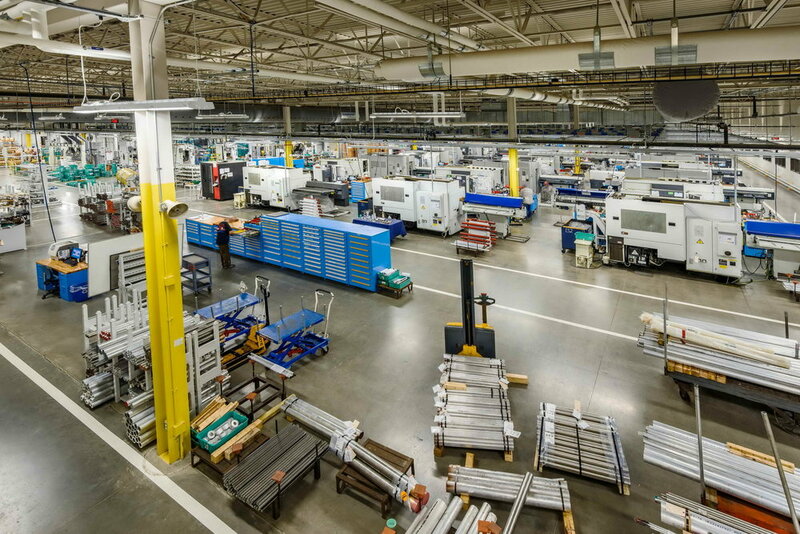 All services are fed from above supported on a metal framework providing modular connections for flexibility. 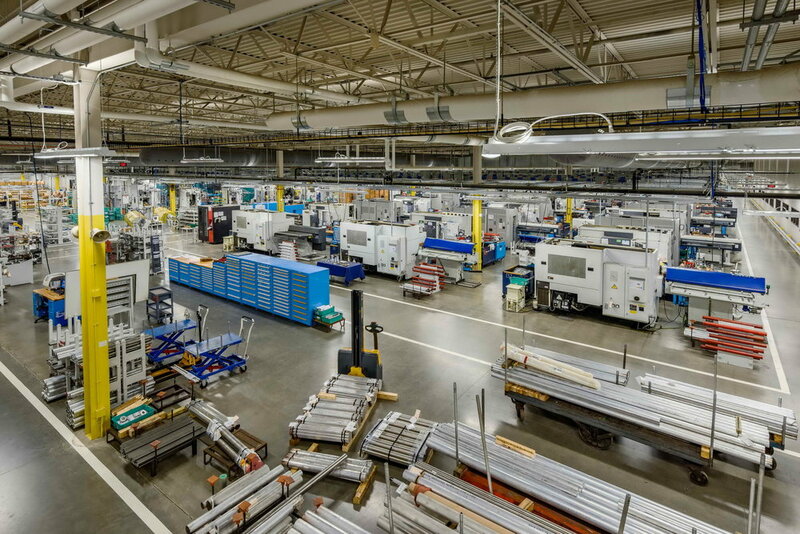 The floor has a chemical resistant coating and there are minimal under floor penetrations in response to the use of chemicals degreasing and deburring from the manufacturing process. 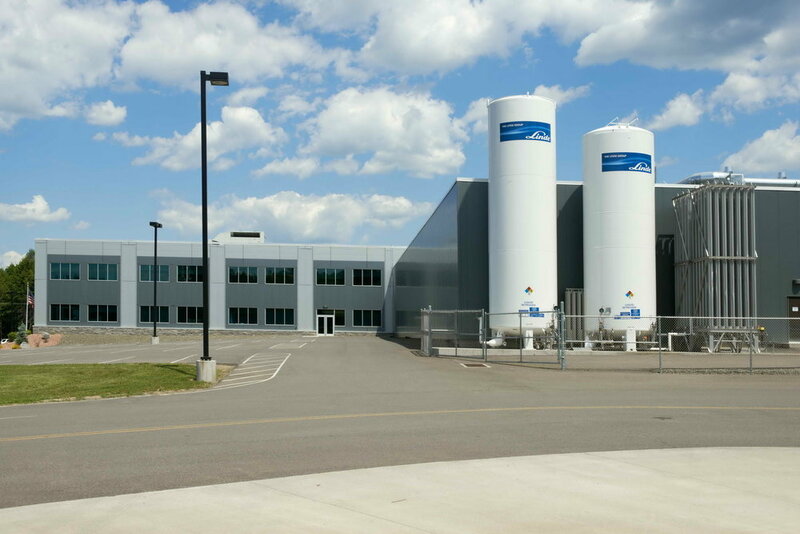 The dock positions were located on opposite sides of the building in response to manufacturing flow. 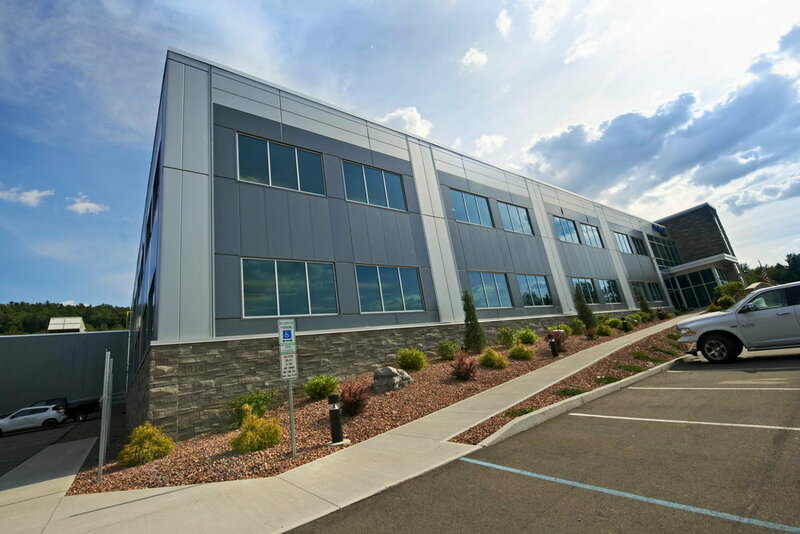 Rounding out the building are separate support functions including employee break rooms, toilets, lab/QC testing, communications, meeting room, shipping and receiving. 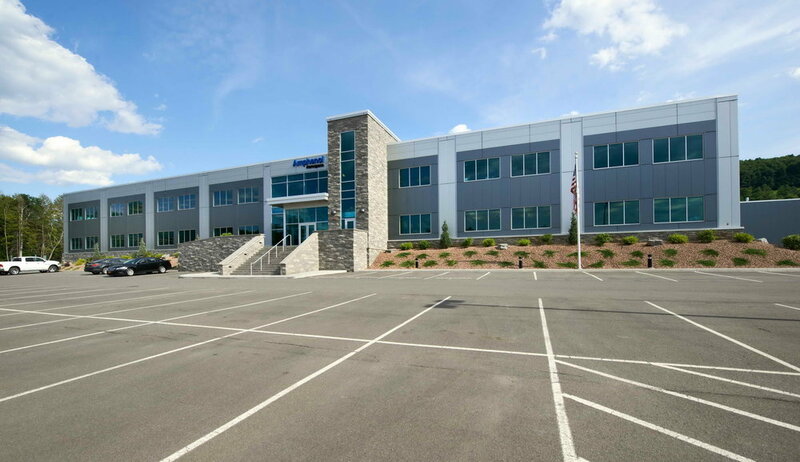 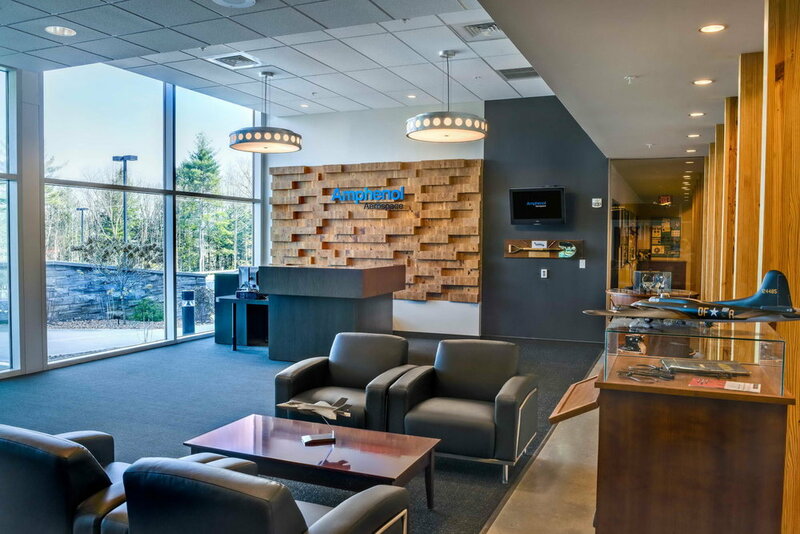 The two story attached office space includes a lobby / reception area, employee cafeteria, executive, manager and open office workstations, conference rooms, pantry, breakout areas, document storage, computer server room, copier, storage and toilets.